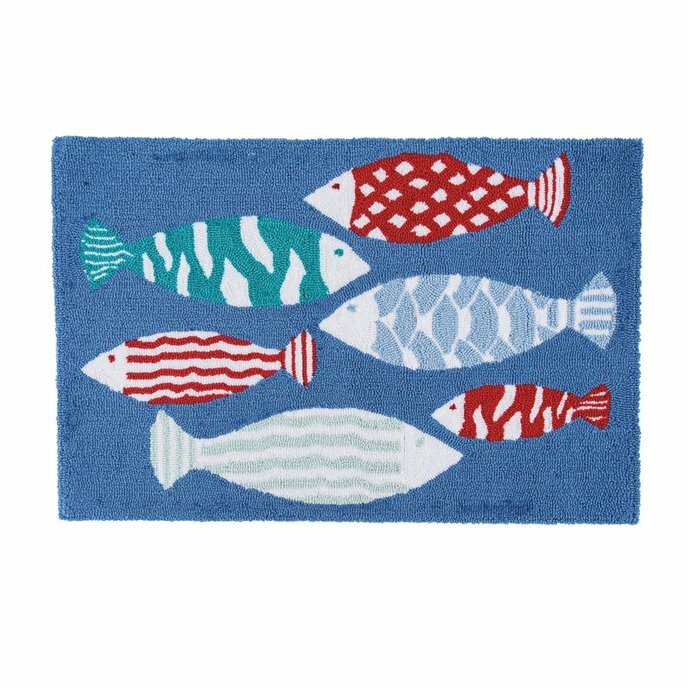 Harpswell Hooked Rug is a hooked rug in colorful fish design, with teal green, red, off-white, and blue. 21" x 33". Acrylic.